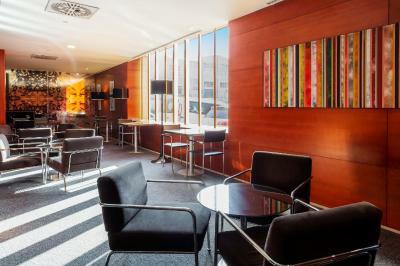 Lock in a great price for B&B Hotel Elche – rated 8.1 by recent guests! The cost for a one night stay was awesome. When you are planning on not even a full night’s because of an early flight, it is really nice to find a clean, comfortable bed for just €37! I arrived late without any money and credit cards after leaving my wallet in my car at the station in Vigo when I caught the train /The Hotel staff were very understanding and provided every assistance until the following morning when I was able to have money transfer´d . The maid making up the room and the bed and the bathroom was very good,the room was always very clean.Full marks there.The reception staff were very good getting me an ambulance in the early hours when I became ill.
Confortable bed. Nice shower room. Good Hot chocolate! 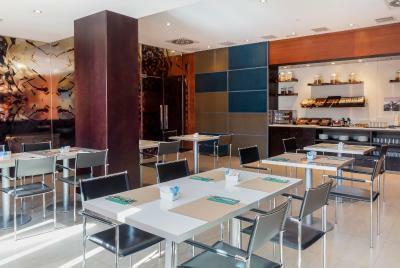 Location was good, near to Alicante airport. Bed was comfortable, & continental breakfast was good. The room was smaller than expected but comfortable anyway. Breakfast was good and coffee available 24/7 was great. Location near the motorway was good, not beautiful at all but practical. Nice big room. It was very clean plenty if space, really nice. Nice friendly staff. Very helpful receptionist who pointed us in the direction of a good restaurant. Good breakfast with plenty of variety. Something for everyone. Very comfortable beds and a lovely shower. Nice lounge area to relax in. 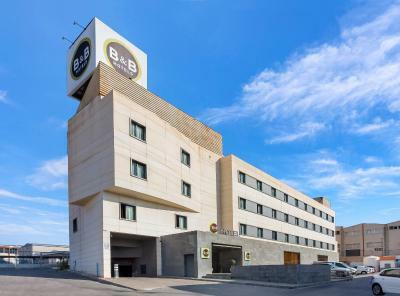 B&B Hotel Elche This rating is a reflection of how the property compares to the industry standard when it comes to price, facilities and services available. It's based on a self-evaluation by the property. Use this rating to help choose your stay! 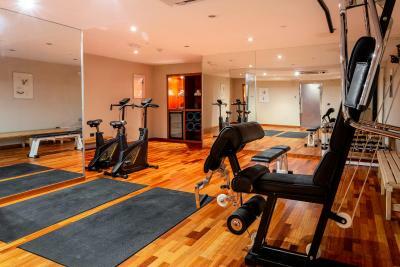 The air-conditioned rooms have free Wi-Fi, satellite TV .The modern bathrooms have high-pressure showers. 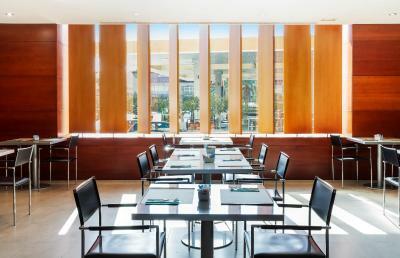 There is a gym, and the B&B Hotel Elche’s cafeteria offers lunch and light meals including pizzas. Close to the hotel is a good selection of shops and a cinema. Some of the area’s best beaches can be reached in about 15 minutes’ drive. A bus stop can be found about 150 feet from the hotel. 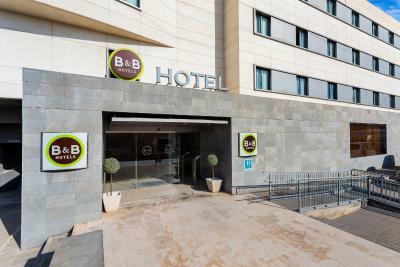 When would you like to stay at B&B Hotel Elche? This air-conditioned room has free Wi-Fi, satellite TV. The modern bathroom has a high-pressure shower. The room features a TV and mini-bar. The bathroom comes with shower and hairdryer. 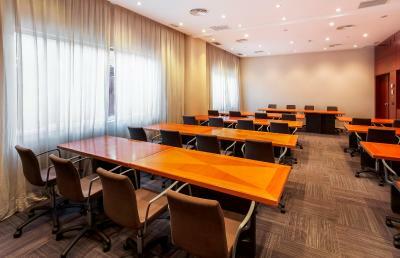 This spacious room features a seating area with a TV. The bathroom comes with shower and hairdryer. 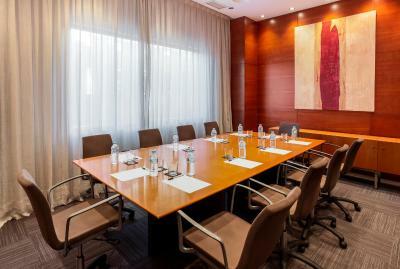 House Rules B&B Hotel Elche takes special requests – add in the next step! 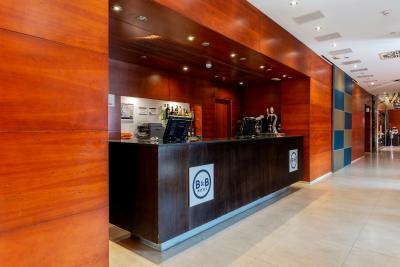 B&amp;B Hotel Elche accepts these cards and reserves the right to temporarily hold an amount prior to arrival. 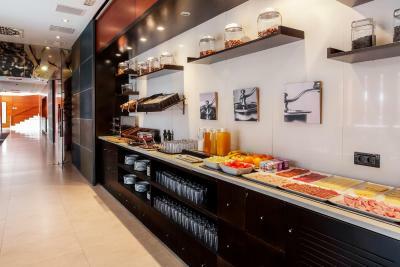 B&B Hotel Elche accepts these cards and reserves the right to temporarily hold an amount prior to arrival. The only day I felt like breakfast I went into the dining room and was disappointed;There was no butter available,I told a member of staff who was very dismissive about this,pointing out there was margarine,to which I replied that there's a great deal of difference.The range of food poor ,for a reasonable sized hotel.I noticed few people used it and I don't wonder! Poor value. There was no beer on draught. English TV stations would have been good & more choice for breakfast would have been better. Staff could sweep under the bed from time to time. Nothing really. Room was good 3rd bed was not as comfy as the 2 singles, nothing wrong really but more of an occasional bed. Our Spanish is almost non existent but the staff were very good in understanding our needs. They were good natured and very helpful. And the room was excellent. Good a/c, comfy bed and a great shower room.